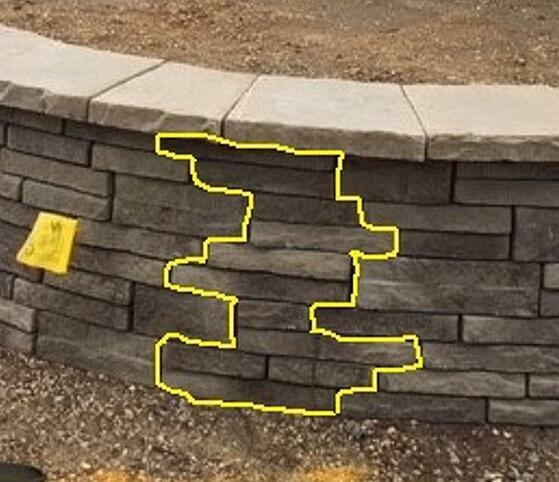 Our Prescott wall’s authentic sizes, shapes and textures create the most natural style wall available in the retaining wall industry. The process of building this retaining wall gets easier with modular construction. Here's exactly how to get it done. As it is indicated in our Techo-Spec guide, the dimensional tolerance for Stonedge wet cast retaining wall units is: ± 3/16" (5 mm) for height and ± 1/2" (13 mm) for length and width. 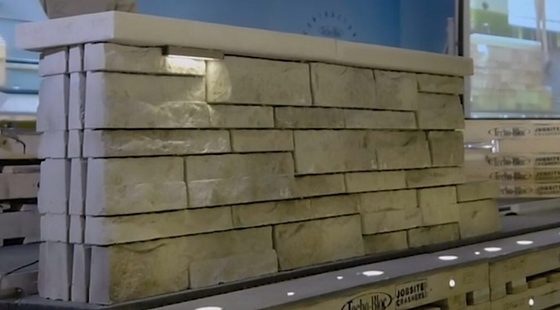 During the installation, the heights of adjacent wall units will vary (usually, more than for a dry cast wall unit) providing a more realistic appearance of a natural stone wall. For a Prescott retaining wall construction to go smoothly, anticipate a bit more labor consumption, so it’s important to plan accordingly. We recommend building it in a modular pattern to increase productivity and provide a great look. Modular construction requires 2.25’’ and 4.5’’ units. 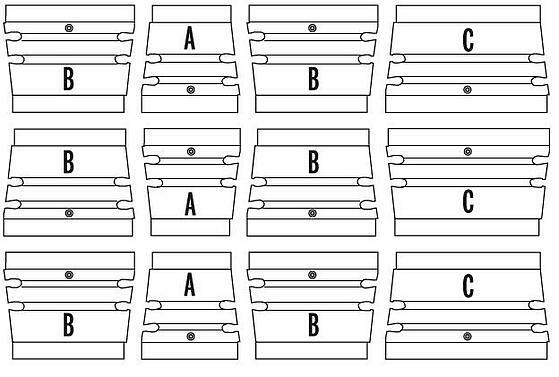 For every alternating set of ABC/cba, use one BB combo to account for extra “B” units in the pallet. 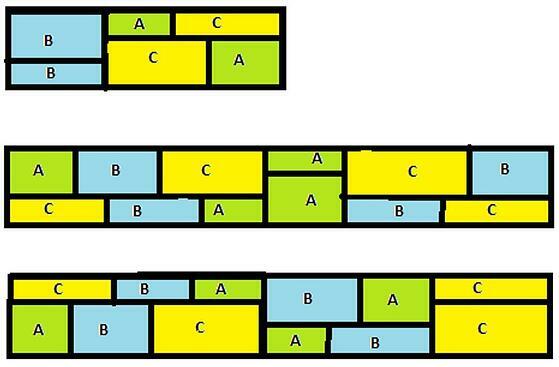 Ratio to build modularly using both sizes should be 66% 4.5 units and 34% 2.25’’ units, or 2:1 4.5’’ to 2.25’’. Avoid patterns that have too many 2.25’’ units stacked in one area. This will magnify the minor height difference. Corners need to be installed in 6 ¾’’ modules also to work with the wall. 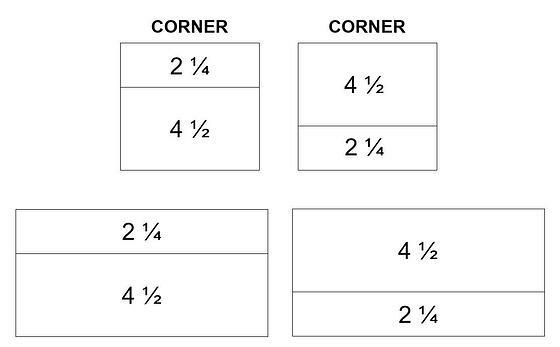 Corner ratio is the same as block ratio: 66% of 4.5’’ Corners and 34% of 2.25’’ Corners, or 2:1 4.5’’ to 2.25’’.